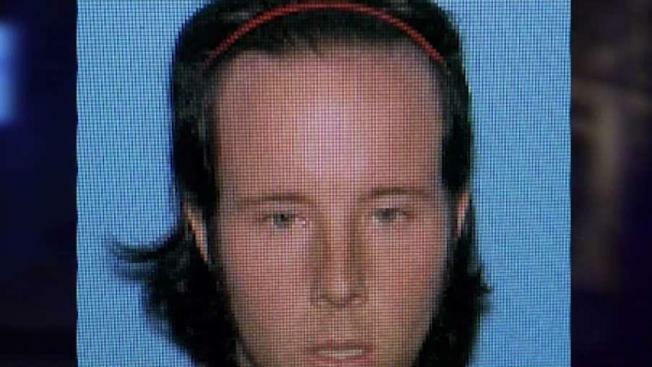 Police are searching for a man accused of attacking his mother with a meat tenderizer. Residents in Walpole, Massachusetts, are being asked to remain behind locked doors as police look for a man who allegedly attacked his mother with a meat tenderizer. Police say Ian Crowley is wanted after a domestic incident on Common Street around 7 p.m. Wednesday. While authorities initially said a knife was used in the assault, they later said the tenderizer caused multiple cut wounds to the victim. Crowley fled on foot in a dark Fila jumpsuit, according to police. Because no weapon was found on the scene, police believe Crowley is armed. Surveillance photo showing Ian Crowley Wednesday evening. Authorities used a reverse 911 call to ask residents to stay inside and lock their doors while the manhunt was underway. Crowley has known mental health issues, police said. If you see Crowley, police say not to approach him and to call 911.